CALDWELL, Idaho – An off-dry Riesling from one of the Pacific Northwest’s top winemakers won best of show Tuesday afternoon at the eighth annual Idaho Wine Competition. 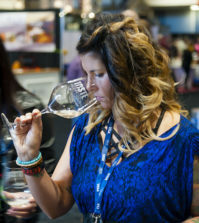 Boise native Melanie Krause wowed the judges with her Cinder Wines 2016 Off-Dry Riesling. The graduate of Washington State University who trained and made wine at Chateau Ste. Michelle more than a decade ago said her participation in last year’s international Riesling conference staged by her former employer played a role. “I think Riesling Rendezvous did help me improve the 2016 over the 2015 – not in one specific thing, like a particular wine or technique that I liked, but more in the sense that I was reminded of something I’d already known,” Krause wrote via text message. “That is, there are 1,000 ways to make good Riesling. 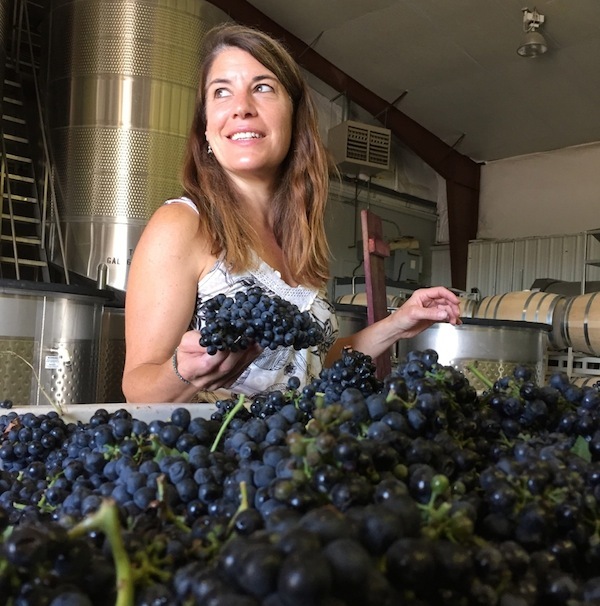 “Seeing the incredibly broad spectrum of delicious Rieslings helped me stop worrying about screwing up a variety that I don’t have that much experience with and instead just do what I thought was going to be the best technique for those grapes at that time,” she added. 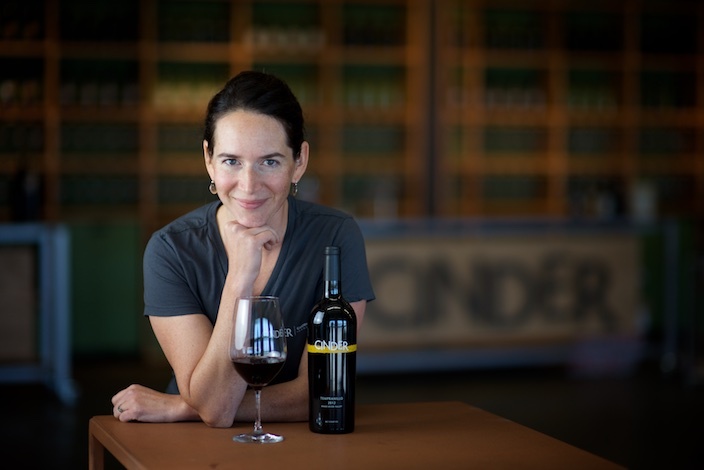 Meredith Smith, another Boise native, produced two of the competition’s best wines. The Sawtooth Estate Winery 2015 Trout Trilogy Syrah, a $35 wine from the Snake River Valley, was voted the top red wine of the judging. And Smith also made the best Chardonnay as the Ste. Chapelle Winery 2016 Panoramic Idaho Block 16 Chardonnay ($20) is a product of her debut vintage as the winemaker for the state’s largest winery. The judging of 152 Idaho wines staged inside the showpiece tasting gallery at Koenig Vineyards also reaffirmed Greg Koenig’s reputation as one of the Pacific Northwest’s top producers. Wines that Koenig made accounted for six gold medals – a third of those awarded in the competition – led by the unanimous double gold medal for the Koenig Vineyards 2014 Cuvée Amelia Reserve Syrah. 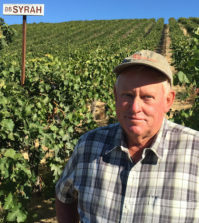 The dean of Idaho winemakers also made the gold-medal winning 3 Horse Ranch Vineyards 2014 Single Vineyard Eagle Foothills District Merlot and the Bitner Vineyards 2016 Riesling. 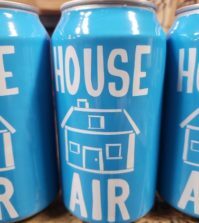 Best rosé of the competition went to the Hat Ranch Winery 2016 Estate Rosé, a dry salmon-colored wine made by Tim Harless with Cabernet Franc from his young vineyard in the Sunnyslope Wine District. The best sweet wine was the Camas Prairie 2016 Raspberry Mead, a wine made with Idaho honey and Idaho raspberries. Arguably the best buy from the competition was the Indian Creek Farm Winery 2014 Star Garnet Red Blend, a $15 bottle of wine that earned a double gold medal and was voted as the best red blend of the judging. Tuesday’s showing by Krause came as no surprise. 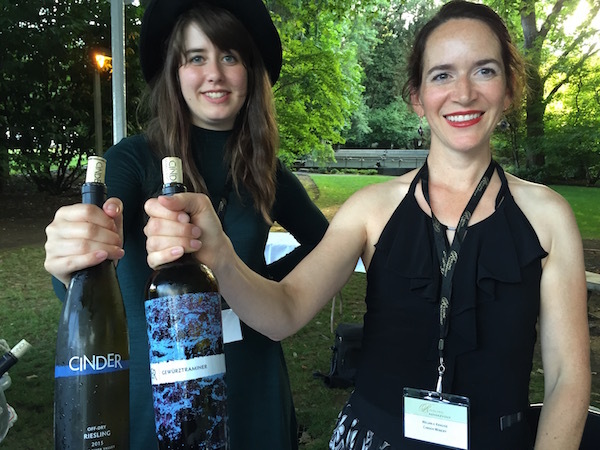 Earlier this year, the Cinder 2016 Off-Dry Riesling earned a double gold and best of class at the Cascadia International Wine Competition. A year ago, her 2015 Off-Dry Riesling merited a double gold and best of class at the 2016 Idaho Wine Competition. 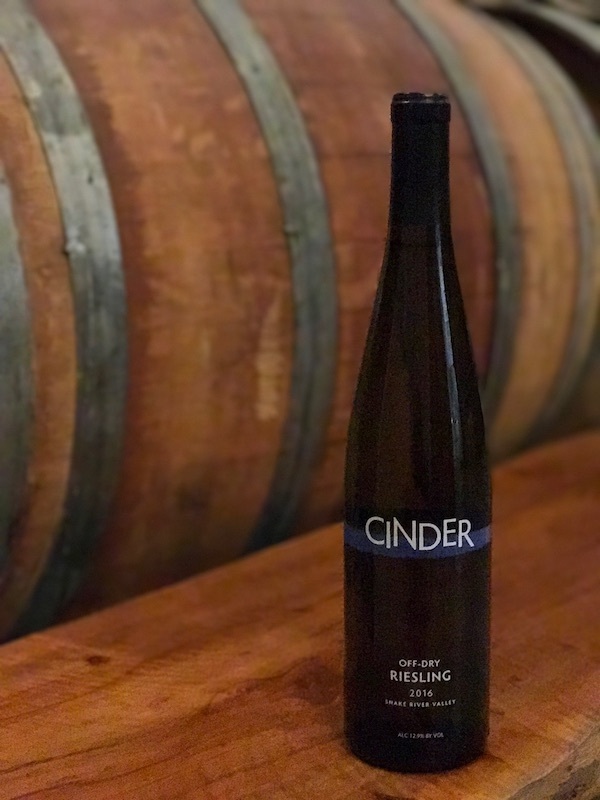 Cinder’s brilliant expression with the noble grape of Germany was made last fall with Riesling from Bankhead Vineyard in Payette and Williamson Vineyard on the Sunnyslope. 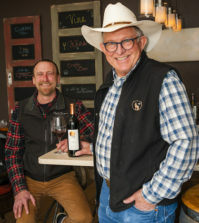 Krause also makes the red wines for Huston Vineyards, and the Alger family’s 2014 Private Reserve Petite Sirah from the Snake River Valley earned a gold medal. Interest among a handful of cider producers prompted the launch of an Idaho Cider Competition, which was won by the Meriwether Cider Co.’s Foothills Semi-Dry Hard Cider. Meriwether’s Blackberry Boom Hard Cider also received a gold medal. Both judgings were orchestrated by Great Northwest Wine, a news and information company based in Washington state, in cooperation with the Idaho Wine Commission. 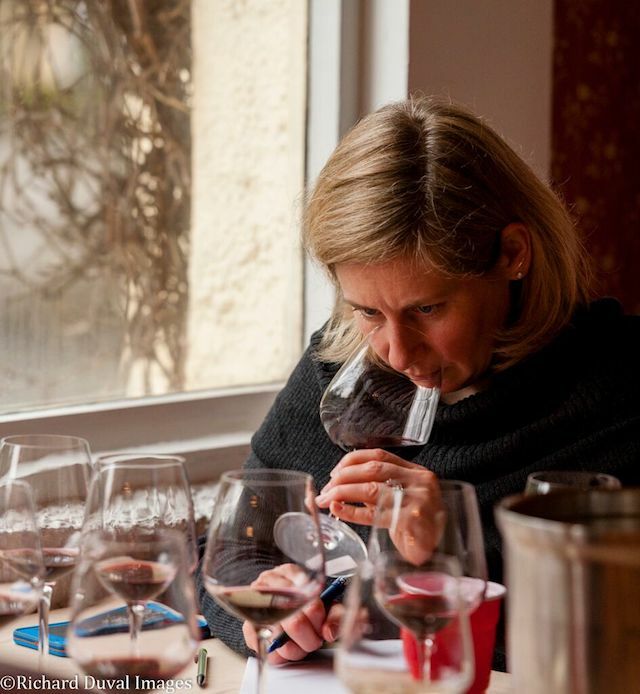 Judges this year included Sheri Sauter Morano, who carries the most prestigious title in the wine industry — Master of Wine. As an MW, Morano is in constant demand across the country as an expert, educator, consultant and judge. Other judges included Ilene Dudunake, owner of A New Vintage Wine Shop in Meridian; Jackie Elo, wine buyer at JW Thornton Wine Imports in Boise; Lane Hoss, vice president of marketing/wine buyer, Anthony’s Restaurants, Kirkland, Wash.; Karen McMillin, estates brand manager at Hayden Beverage/Young’s Market of Idaho, Boise; Samuel Paden, wine specialist, Whole Foods Market, Boise; Austin Drehmel, wine steward at Fred Meyer in Garden City; and Ken Robertson, columnist, Wine Press Northwest magazine, Kennewick, Wash.